Terming the missing AN-32 transport one of the "worst memories" of his tenure, the outgoing IAF chief, Air Chief Marshal Arup Raha, said on Wednesday it wasn't the "best aircraft" to fly over the Bay of Bengal. "The AN-32 is not the best aircraft to fly on this route.. The altitude at which AN-32 flies is not so good in terms of weather," Raha, who retires on December 31, said at his farewell press conference here. "Unfortunately despite of substantive efforts we could not trace the aircraft," he said, terming this a "setback". "The 29 personnel remain untraced. We are looking after their families in terms of finances and otherwise," he said. The IAF chief said that several objects were located but none of them turned out to be a part of the aircraft and a search of the sea bottom at a depth of 3-3.5 kms also did not yield any result. He also said that the IAF has approached the government to contact some agencies from abroad that have the capability to undertake a further search of the seabed to locate the missing aircraft. He said that the aircraft "unfortunately" did not have a underwater locator beacon. "The AN-32, like most Soviet-era aircraft, does not have an underwater locator beacon. We have taken up the case with the government and will procure a large number of ELTs (Emergency Locator Transmitters). In another two months time, a contract will be signed and all our aircraft will have ELTs," Raha said. 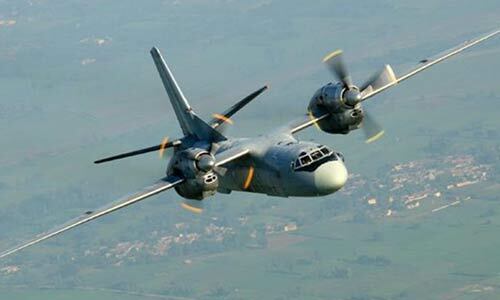 The AN-32, on a routine sortie from IAF Tambaram to Port Blair went missing at 12.25 p.m. on July 22, approximately 150 nautical miles east of Chennai. The IAF has decided against using AN-32s for ferrying passengers as it is not suited for flying in adverse weather due to its low ceiling. Raha also said that the process for procuring the Airbus C295 transport aircraft, to be manufactured by a joint venture of the Tatas and the European aerospace major, should "not take very long". "This is a landmark decision to manufacture this transport aircraft in India involving the private sector. The process should not take very long. The earlier it comes the better," he said. Raha also termed the Pathankot terror attack a major "setback" during his tenure. "We learnt our lessons. Today, I can say that we are very well prepared," Raha said in reference to the February 2 attack in which seven security personnel and one civilian were killed. On the One Rank One Pension imbroglio, the IAF chief said it was an "unprecedented situation" which affected the esteem of the armed forces. The OROP agitation "resulted to my mind in an unprecedented situation. I think the esteem of armed forces has been effected," Raha said, adding: "Whatever has been awarded by government to my mind is reasonable I have always told my people to accept this. It has been given after 40 years of struggle and it is substantially good." Talking about the recommendations of the 7th Pay Commission, he said the issues that have been raised by the armed forces are being "relentlessly" resolved by Defence Minister Manohar Parrikar and others.